2. Change the properties: Orientation, Width Table and Table Width Unit for Slide, 100 and Percentage respectively. 9. 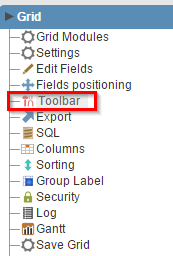 Also in the item Toolbar application menu, go to Options edit tab. 11. 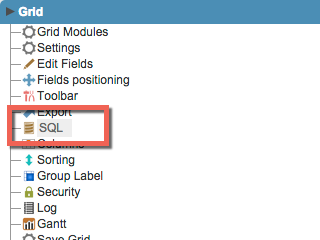 In the application menu, access the folder Nested Grid. Inside the Nested Grid folder open the Links folder and click the New Link item. 12. In the Name and Label property report “subgrid” and “Orders” respectively. To create the connection, click the Create button. 13. 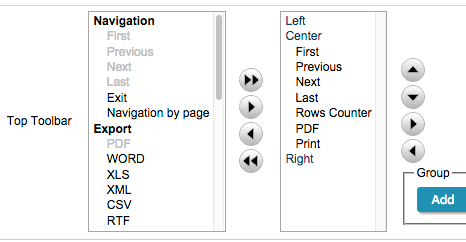 Select the detail grid and click the Next button. 14. In this step we will inform what will be the value passed to the global variable [v_customer]. 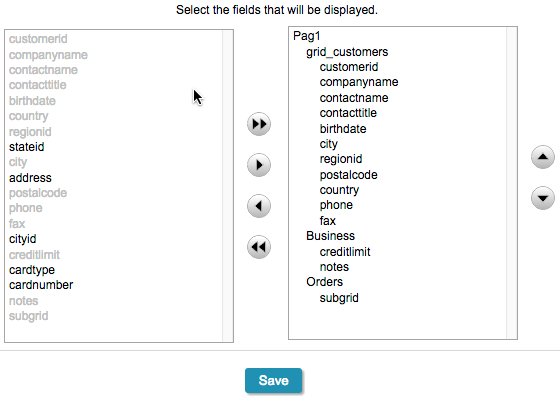 Click the value Field and choose the customerid field. Click the save button to finish. 15. In the application menu, go to Layout folder and click on the item Blocks. 16. Click on the Create New Block button to create a new block. 17. For the Name and Label properties inform “Business”. Click the Create button to finish. 18. Repeat the same process to create the Orders block. 19. Change the existing blocks using the format shown in the image below. 20. 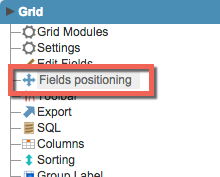 In the application menu click on the item Fields Positioning.